Silan Date Honey: A charoset for all year-round? Yesterday I was reviewing my Passover food interviews from Iraqi Jews, and found it interesting that in all of them the individuals described their charoset as not so much of a date purée, but of one resembling molasses. This thick syrup (called silan) was sometimes mixed with chopped walnuts, almonds, or pistachios. 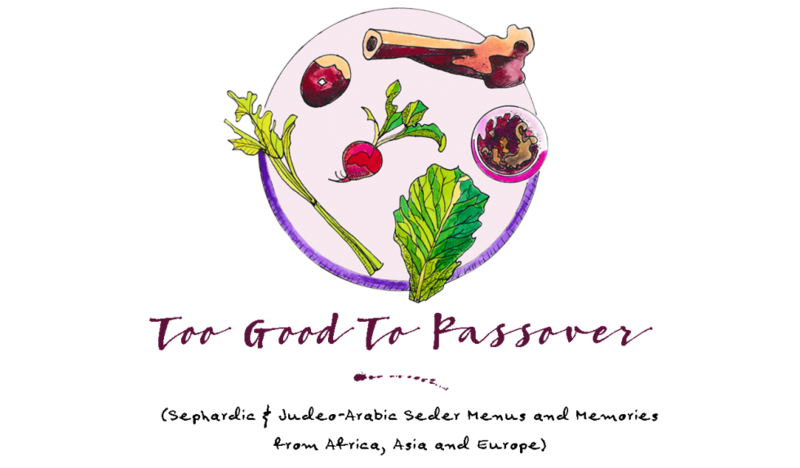 At their Seder, they would either drizzle it on the matzah or dip the matzah (as well as bitter herbs) directly into it. In my interviews with Iraqi Jews that had at some point moved on to other countries in Asia, Southeast Asia, and Central Asia (such as India, Bornea, Singapore, or Iran), the description was the same, but instead of silan they called it halék/halech. I have been trying to find out the origin of both of these words and see if there is any specific meaning (such as “honey,” “syrup,” “molasses,” or “jam”), but I have not been so far successful. It sounds very much like an Arabic word but perhaps from an ancient dialect? What is also interesting is how timely my research is on this particular subject. While speaking with a Yemenite Israeli yesterday (the same day I had been researching silan), the first thing that she asked me was, “Jennifer, have you ever heard of something called ‘silan’? I just returned from Israel and it is such a craze over there now. They are doing everything with it!” She went on to tell me how one friend mixed it in with tahini to make some kind of nutty sweet, and how chefs in restaurants were putting it in and on everything. I too had found that the trend was hitting over here in the U.S. In my searches online for “silan”, all kinds of recipes were popping up, including a cauliflower dish that called for it drizzled on top. In fact during this recent Passover I was able to find a jar of it in my local kosher market, which I bought right away and still have. What is SILAN and how is it different from and/or related to HALEK? by one of these names, and if so, where are you from? ← The Holiest of Matzahs Found Near Mexico? Let the harvesting begin! I am an Iraqi food writer, author of Delights from the Garden of Eden, and am responding to your question about silan (I have just seen it). Technically, silan in Arabic refers to date syrup produced by the cold press method, i.e. date syrup is extracted by weighing down piles of ripe dates and collecting the oozing syrup (and hence the name: silan/seyelan= oozing). The more common method applies heat. apparently Iraqi Jews used the word silan to designate date syrup regardless of method. Is the Indian word for it. Thank you for your interesting information regarding Silan, Nawal! Halek! I’ve been describing it to my American friends for years. Is halek is the Indian word? I’d never heard the word Silan before…Thanks for the info. Thank you for your blog. I don’t know any Singapore Jews here in NYC and I’m sure I’ll enjoy hours going through all your posts and comments. Is it alright to ask you and your readers about some foods I’ve not heard or read about in America as I go along? Like, shwanda? Dear Hilda, Thank you so much for submitting a comment to my blog! I’m glad to connect with you and would love to hear more about your cultural stories, especially with regards to food. 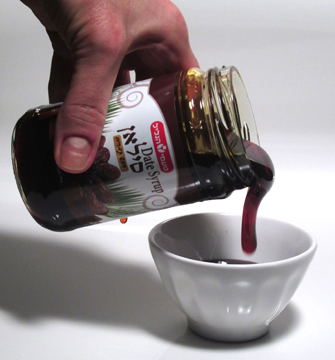 I never grew up with Halek but discovered it while doing research for my Passover cookbook and blog, and I was both fascinated as well as hooked, and it seems that in the last 5 years or so date syrup has become a bit of trend starting in Israel, which is also interesting. (The Iraqis were on to something even centuries ago!) Please stay in touch with the blog and feel free to email me or post a comment or question to anyone in the community on my blog at any time. I would love to learn more about the food and traditions, and enjoy the feedback and comments others might contribute.